These unique & automated systems are individually designed to meet grower’s specific requirements. Users vary in size from 10 to over 100 hectares and we use GPS mapping to accurately plan the proposed systems. 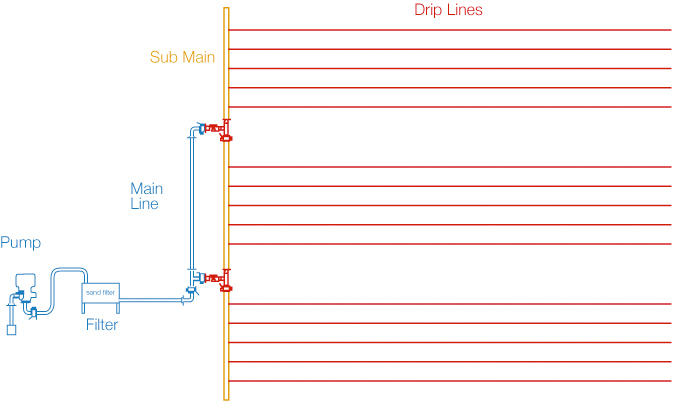 Using our own sourced connectors and fittings; leaks and problems associated with older and inferior drip systems are eliminated. 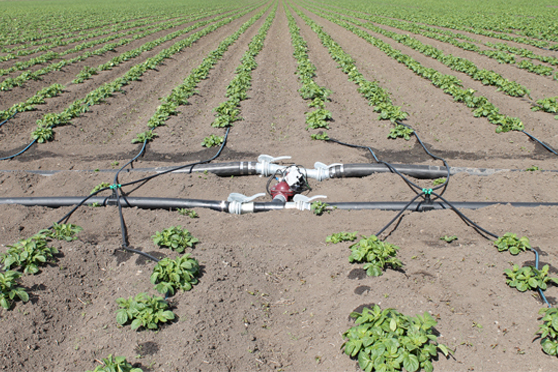 An automated irrigation system uses a handheld controller to switch individual valves on and off in sequence and each block of irrigation can be up to a maximum of 4 Ha in size. Required water flow rates are between 50 and 70 m3/hr and is dependable on the topography and distance between the water source and the irrigation site. 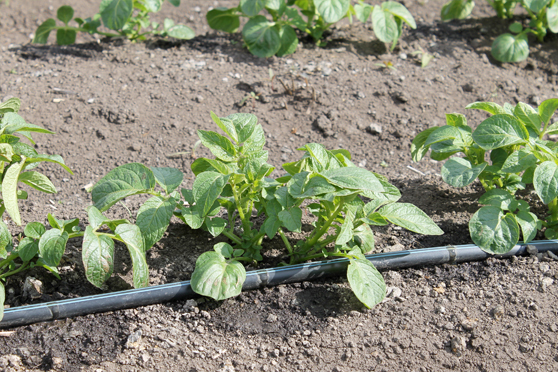 Drip Irrigation is suitable for all soil types and particularly useful in areas where water is limited. 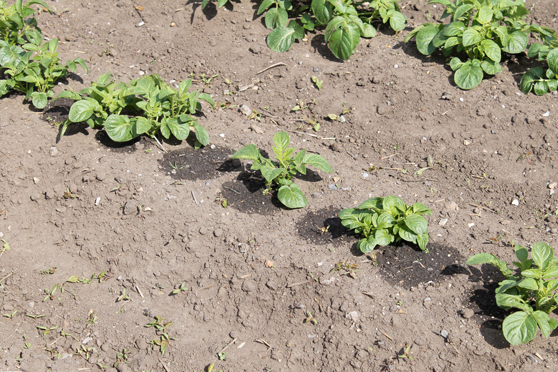 The tape is buried to a depth of 1½ to 2 inches and can be done alongside planting or soon after as a separate process. Dependant on the water quality, water is filtered and transferred through underground mains, aluminium pipes or layflat. Radio controlled systems allow the pump, filter and valves to be controlled automatically from one location. 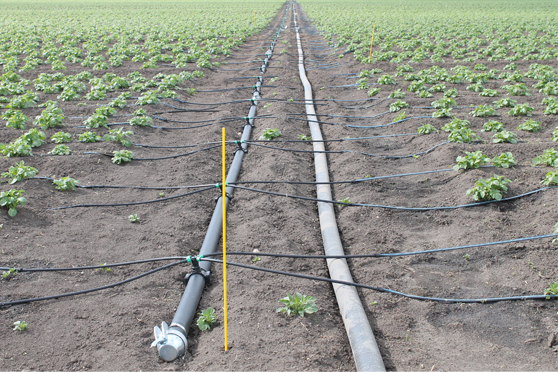 Drip tape systems are currently in use in a wide variety of agricultural and horticultural crops including in potatoes, carrots, leeks, parsnips, onions, celery, asparagus, courgettes, strawberries and raspberries. We are also able ​to manufacture and supply all of the necessary equipment to install and remove the tape. Please click here to see further information on all of these products.